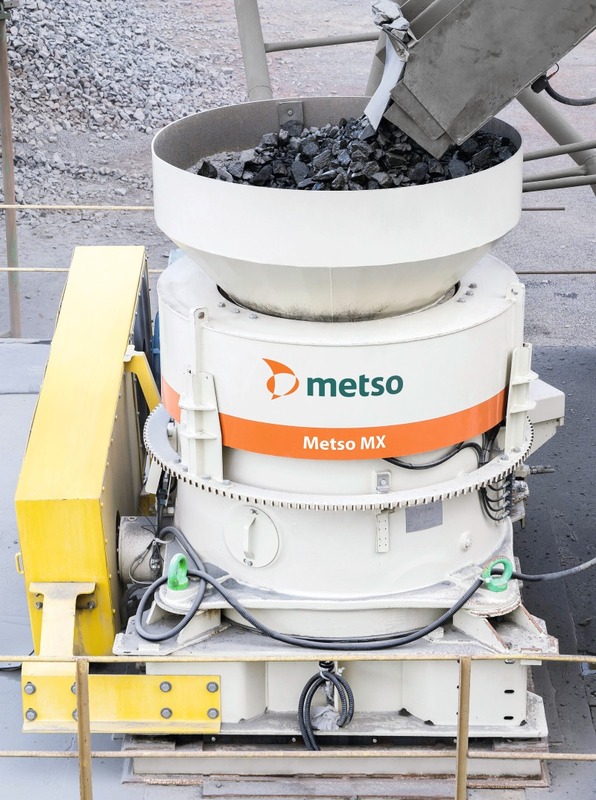 Metso’s Lokotrack range has a new member, the Lokotrack LT110C. Designed for primary crushing, its ­rugged design, but compact size, makes it easier to transport from one location to another (Fig. 1). 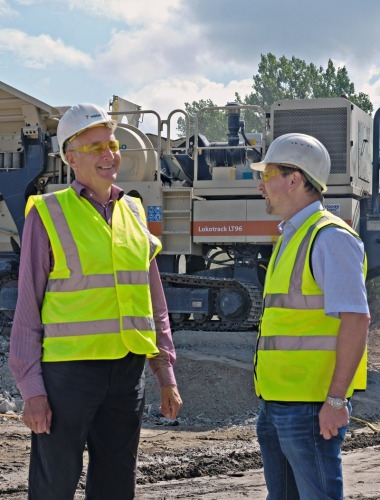 The Lokotrack LT110C is built around the Nordberg C110 jaw crusher, which has a feed opening of 1100 x 850 mm. Two models of feeder arrangements are available. In situations where large amounts of fines need to be scalped efficiently, the combination of pan feeder and separate two-deck scalper can be used. Based on the feeding system selected, the Lokotrack LT110C can be equipped with either a standard 6 m³ or an optional 9 m³ feed hopper. There is also a choice of discharge conveyors. In addition to the standard conveyor with a length of 11 m, there is the option of a 14-m folding conveyor, providing discharge height of 3.7 m.
The IC500 intelligent control system is standard on the Lokotrack LT110C. Simply start up the Lokotrack, and the automation system monitors and optimizes the whole crushing process to ensure maximum throughput. If a problem arises, the IC500 provides the operator with clear information about the cause. The Lokotrack LT110C primary jaw crusher can be easily combined with all secondary and fine crushing plants and mobile screens in the Lokotrack range to build complete mobile crushing and screening processes (Fig. 2). Powered by a low-emission 310 kW Cat C13 diesel engine and weighing 58 000 kg, the LT110C is 15.6 m long, 3.0 m wide and 3.85 m high when being transported. Optional accessories include wireless remote control, a dust-control system, a hydraulic hammer to clear feed blockages and a hydraulic-powered generator.